GENEVA (Reuters) - North Korea rejects as a “provocation” a U.S.-led meeting in Vancouver that discussed tougher sanctions that Pyongyang will fight, a senior North Korean diplomat told Reuters on Wednesday. 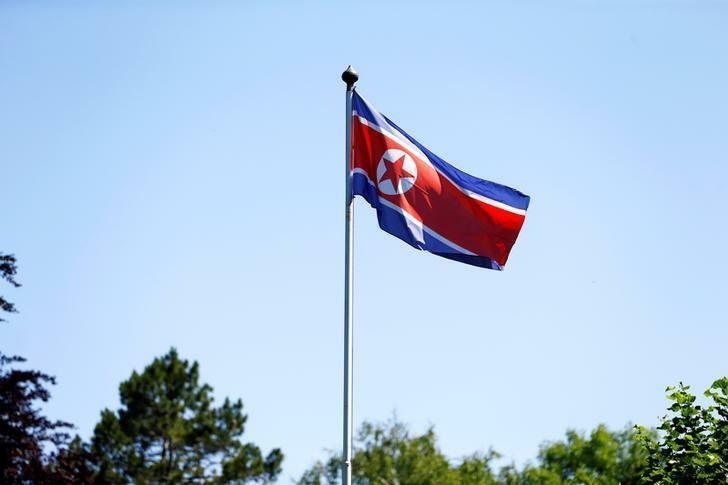 Twenty nations agreed on Tuesday to consider tougher sanctions to press North Korea to give up its nuclear weapons and U.S. Secretary of State Rex Tillerson warned Pyongyang that it could trigger a military response if it did not choose negotiations. U.S. signals open-ended presence in Syria, seeks patience on Assad's removal. Turkey says will respond immediately to any threats from Western Syria. Turkey sees betrayal as US backs Syrian Kurds. Trump denies U.S. embassy to be moved to Jerusalem within a year. Taliban leader approved Islamabad meeting on Afghan peace talks: sources. Days after oil tanker sinks, large slicks observed in East China Sea. Tillerson says evidence sanctions 'really starting to hurt' North Korea. Worker who accidentally sent out warning of imminent North Korean missile strike in Japan meant to send a different news flash, says broadcaster. Italy approves military mission in Niger, more troops to North Africa. Uganda's Museveni accuses U.N. of "preserving terrorism" in eastern Congo. Drought-stricken Cape Town, South Africa, could run out of water by April's 'day zero'. Swedish PM does not rule out use of army to end gang violence. Romanian president picks Dancila as new PM, graft in spotlight. Farage backs off second Brexit referendum talk as EU says UK still welcome. In challenge to Madrid, Catalan assembly elects separatist speaker. Even the eyelashes freeze: Russia sees minus 88.6 degrees F.
Mexico leftist leads presidency race, PRI hopeful struggles: poll. Trump's not letting up on attack the media but ethics experts warn White House officials will break rules if they take part in 'fake news awards'. White House: 73% of convicted terrorists since 9/11 were non-citizens. US drone strike inside Pakistan targets ‘Afghan extremist’. Dow ends above 26,000 for first time on earnings optimism.